I'm new to the Forum so thought I'd pitch straight in with some pictures of my custom Rory that I received today! I've been a big fan of Rory's since I heard Off The Handle when I borrowed the Top Priority album from the local library in the 80's. A local blues band that I'd interviewed for a University radio documentary even played it for me on my birthday as they knew i was a big fan. 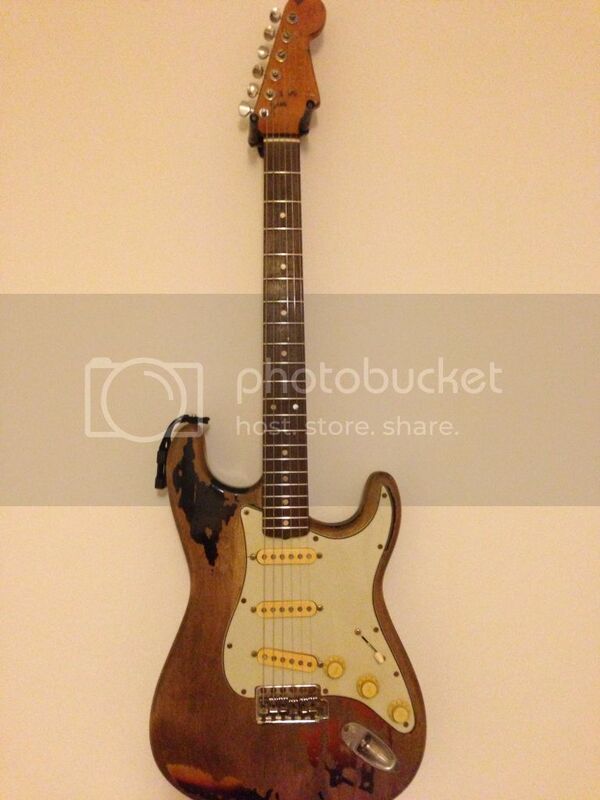 I've been wanting a Rory strat for a long time and finally commissioned this nearly 11 months ago. Some specs - Bare Knuckle Irish Tour Pickups, custom 7 way pick up wiring loom using a push/push system to give some extra sound options and a Dave Gilmour sound if I want, mismatched tuners and replaced pearl dot at 12th fret. That's a nice piece o' work! I'll bet it sounds amazing! Thanks for sharing the pictures! a few more pics one here; but i can't work out how to post pictures properly! two piece light weight alder body with the correct placed seam, musikraft neck; nitro finished and as many other details as i could possibly recreate.. been a bit of a labour of love; but i think it worked out pretty well in the end and a happy customer !! Hi Buzz, that is one cool piece of gear !! May I ask where you got a hold of the bridge ? 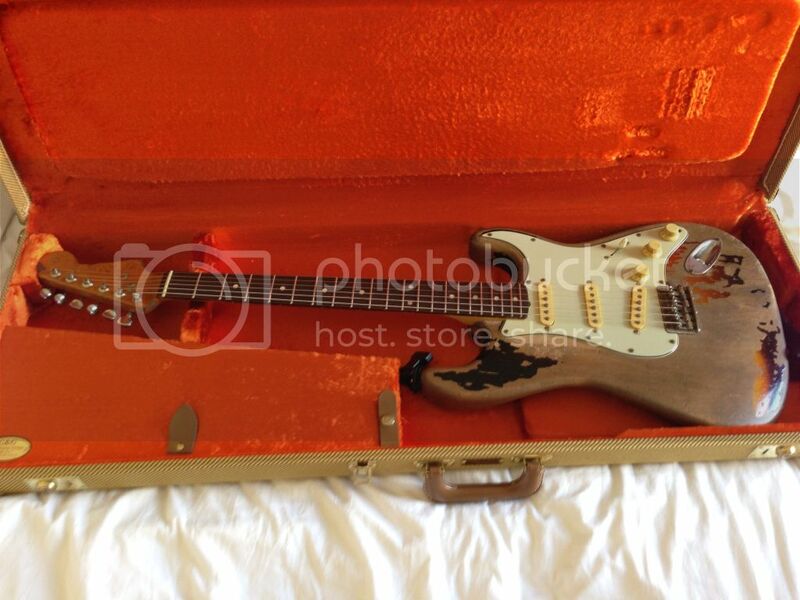 I am looking to do a build myself and thought the bridge was a standard USA stratocaster bridge with the stamped Fender saddles, but apparently not ? Spiv wrote: Hi Buzz, that is one cool piece of gear !! May I ask where you got a hold of the bridge ? 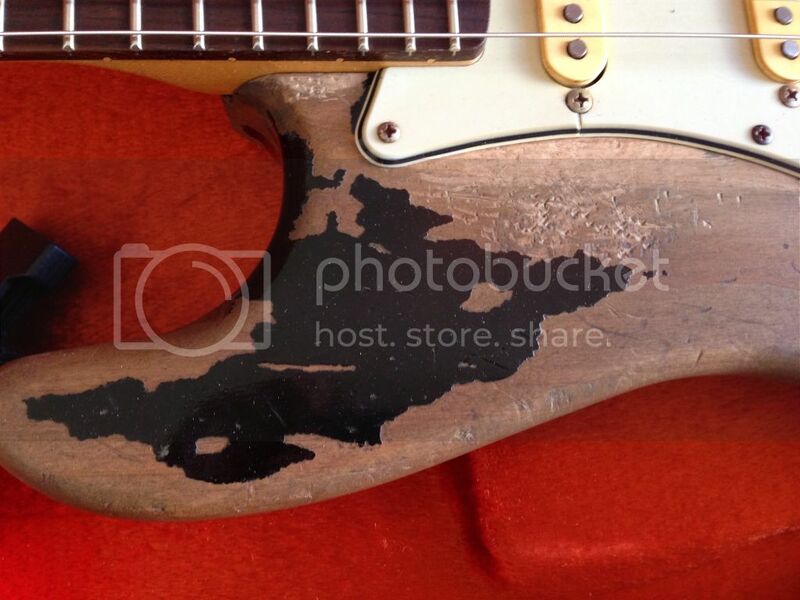 I am looking to do a build myself and thought the bridge was a standard USA stratocaster bridge with the stamped Fender saddles, but apparently not ? To follow on from Dominics reply, I'd also say that as Rory was changing and swapping parts throughout the years it also depends how close you want it to be - in looks only or down to the last part? 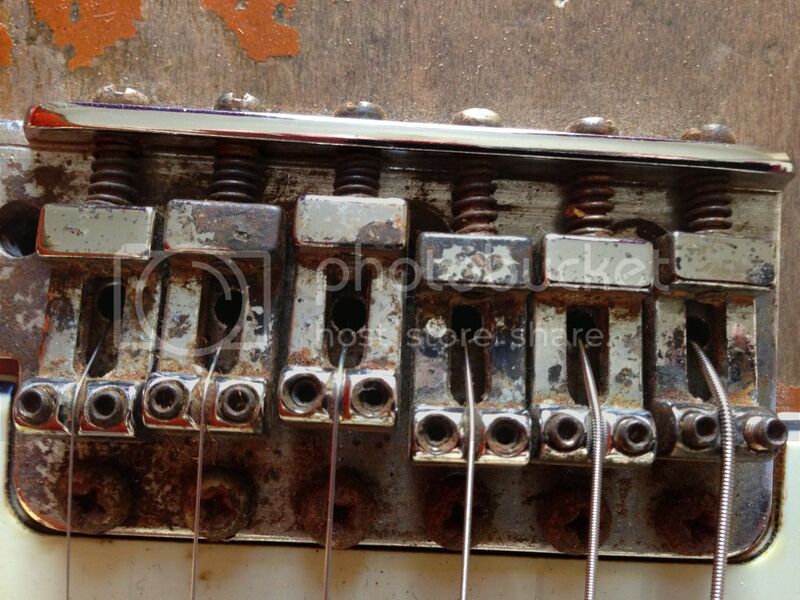 The wiring on mine has been 'hot rodded' for want of a better word, purely because this guitar has been built to be played. Rory seemed to have a very practical approach to his #1 and I'm sure it would've kept evolving. Good luck with your build! 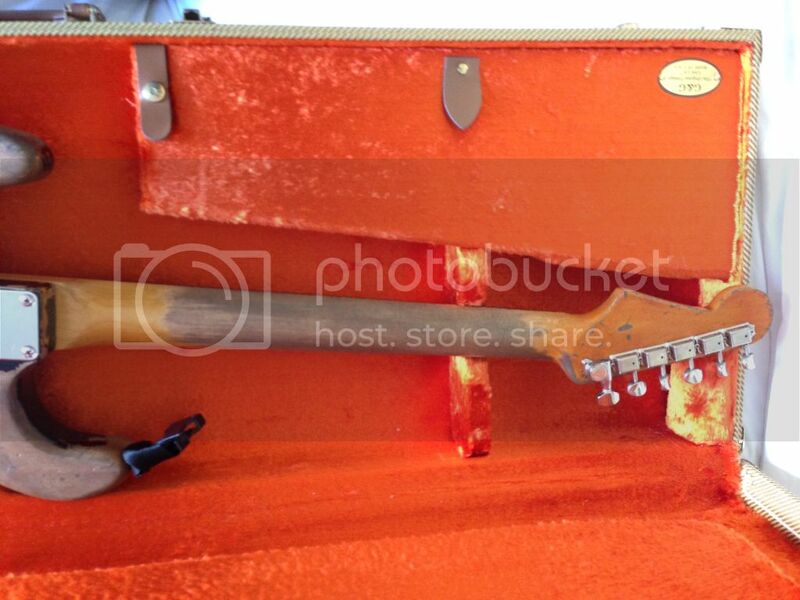 Noticed that the saddles on hos main strat are different here - it seems they have a rounded, shaped string hole. 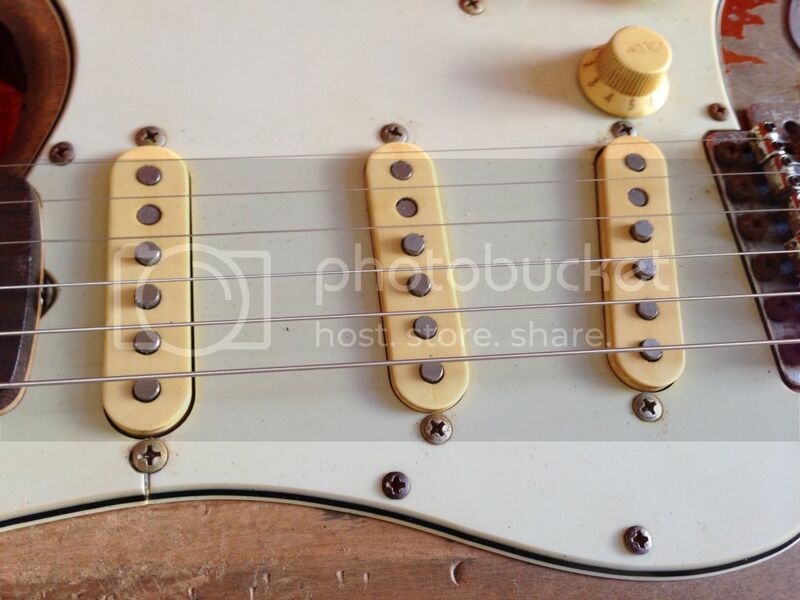 folkdeejay wrote: Noticed that the saddles on hos main strat are different here - it seems they have a rounded, shaped string hole. 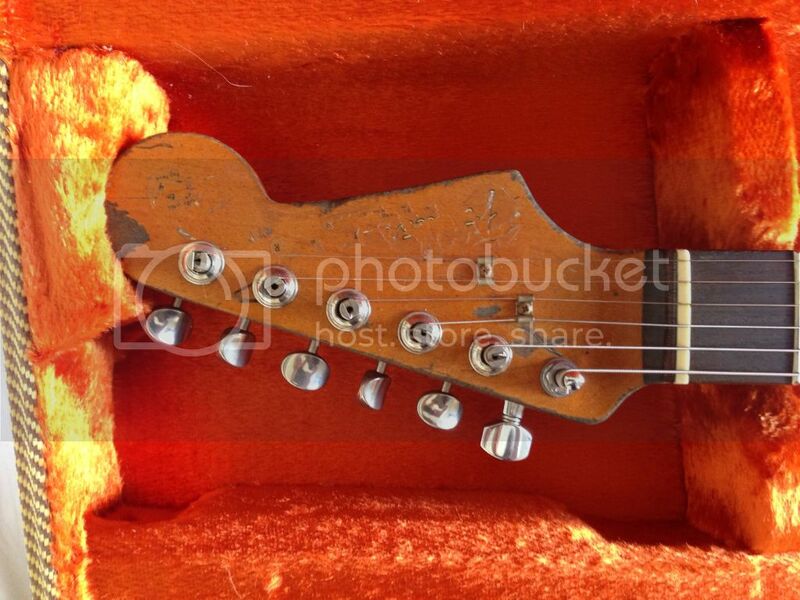 that kinda sums up buzz's comment about the strat being very much worked on in its time..